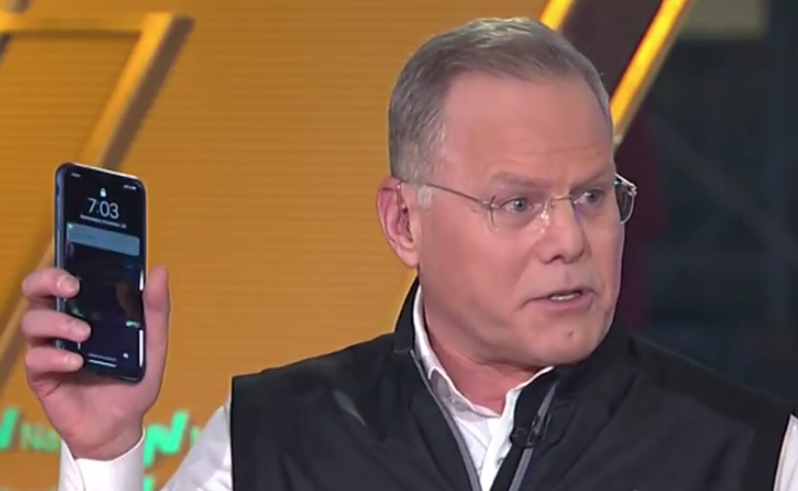 In announcing a wide-ranging content deal with golf legend Tiger Woods, Discovery CEO David Zaslav says that what we’re trying to do is really create a golf Netflix. Discovery’s strategy is partnering with high profile personalities such as Tiger and Oprah and others to provide quality non-scripted programming globally. Zaslav says that they’re going to cede this whole idea of scripted, there are loads of people in that space and they’re fighting over it. This is a wide-a wide-ranging partnership with the greatest golfer ever, Tiger Woods. He’s a transformational figure really. It’s a cherry on top of our golf strategy. We were in business with the PGA Tour everywhere in the world. We owned the tour globally with Jay Monahan and the PGA Tour, it’s a long-term partnership. What we’re trying to do is really create a golf Netflix, create an ecosystem where everyone in the world that loves golf can get everything they want on the phone and/or on EuroSport in Europe or on channels around the world. It’s multifaceted and it fits our strategy. A couple of years ago we got into business with Oprah Winfrey, so we’re in business with Oprah globally. When we bought Scripps, food, HGTV, travel, people thought we bought linear channels but we bought IP. We owned food everywhere in the world, home everywhere in the world, travel everywhere in the world. We have natural history with Discovery. We really took a big pivot four or five years ago where we went from a traditional nonfiction company to asking ourselves how do we create content that people would want if they could want anything and if they could see anything? It was a world that at that point people thought, why is Discovery getting into sports? Why they buy EuroSport? Why do they own all the cycling and all the tennis in Europe? Why did they do the Olympics? We see golf, particularly with Tiger, tennis, cycling, the Olympics, food, home, and natural history. The rest of the media business is in scripted. Disney and Bob Iger, probably the best media company in the world when it comes to scripted and traditional storytelling. Tiger is really an important part of that strategy because people love golf everywhere in the world. Think about China, two of the best players on the PGA Tour are from China. We own all the golf in China and they love Tiger. Two weeks ago we did a deal with Chip and Joanna Gaines from Fixer Upper and Magnolia. Two fantastic authentic great personalities, they’re back in our family. So we’re going to cede this whole idea of scripted, there are loads of people in that space and they’re fighting over it. For us, that’s kind of like the soccer ball on a kids game and we’re the rest of the field. If people love food content or golf I think we have a real chance. We hope that we’re where the ball is going to be. Who’s above the globe? The FANG companies, they’re so powerful because they’re above the globe. They could reach everywhere in the world. The only media company that’s truly above the globe that has IP rights everywhere in the world is Discovery. We haven’t over-invested in content because we do believe that we need to reach these four billion devices and the best way to reach that is to have stuff that people really want. This business started with cable systems around the world, then it went to satellites. The companies that have created the most value for shareholders are the global companies, because of the leverage. What we’re saying is we think that by owning all of this global IP we can partner up very effectively. We don’t need to sell, we can we can partner up with any one of them. We can do a natural history global business with Google or Apple. We can go into business with Oprah ourselves and we can together reach every regional player in the world. People fall in love with great stories and with people. If you think about the media business and the rush to Netflix, HBO, Hulu, those are all great plays. Disney buying Rupert’s company and he’s gonna build a product that looks a lot like it. If you’re sitting at home, whether you’re young or old, and you want to spend ten to fifteen dollars and get scripted series and movies there’s going to be 10 choices for that, and the movies are starting to be commoditized with the same movies are on each platform. If you want something else, if you want to see golf or if you want to see natural history, that’s our bet. Our bet is that we’re completely different than the rest of the guys and we have superfans that have an affinity for our stuff. Our content costs about $400,000 to $500,000 an hour, scripted is anywhere from $5 million to $10 million, so it’s a lot more expensive and it’s getting even more expensive. We have a much more efficient model, so we could actually charge less (than Netflix). In the US we have 18 channels, so we’re the second biggest TV company in America. When you look at our 18 channels the amount that we charge for those 18 channels is less than one regional sports network. So our costs are less but we can make a lot of money even if we charge less, so that’s one of the reasons why we’re on every skinny bundle. We have great channels but we’re also not that expensive.